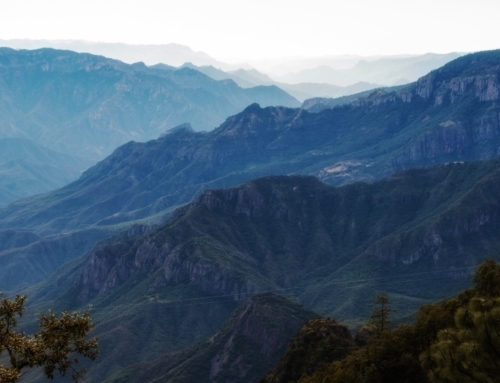 Is it safe to travel to Mexico’s Copper Canyon? It’s a legitimate question and one that might render a variety of conflicting answers online. Especially when it comes to safety in northern Mexico. 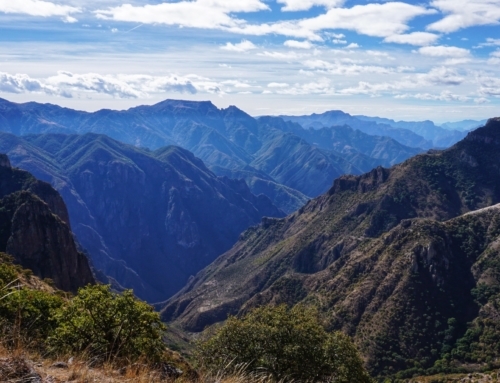 The Copper Canyon is situated in the Sierra Madre Mountains in north-western Mexico. The Chihuahua Pacific Railway is a tourist and local commuter train that navigates the canyons and offers some absolutely spectacular views along the way. The train, El Chepe as it’s known in Mexico, runs between the city of Chihuahua, in the state of Chihuahua, and Los Mochis in Sinaloa. Many countries’ travel advisories list the states of Chihuahua and Sinaloa as requiring extreme caution. Others, such as the Australian government, list the Chihuahua Pacific Railway (Chepe) as an exception within these northern states. Drug-related violence is the primary reason the northern states of Chihuahua and Sinaloa are listed as high caution areas. Violent outbursts have occurred over the years but are generally confined to those involved in the drug trade. Being in the wrong place at the wrong time is likely the only reason a tourist would be injured in the cartel-related violence. 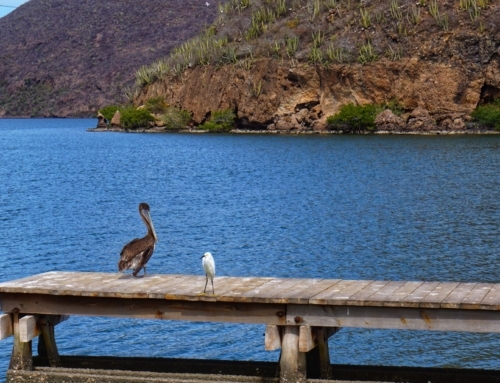 The little towns of Creel, Areponapuchi, Cerocahui, Urique, El Fuerte and Topolobampo along the Chepe route all have a safe, small-town vibe. 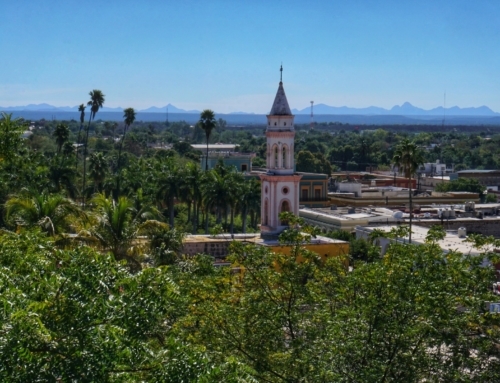 However, as these are such small towns, you can assume that everyone knows each other, and asking inappropriate questions (about drugs or cartels for example) may draw some unwanted attention. Best to avoid touchy subjects and stick to playing the part of the tourist. As for the larger cities, I spent a couple of months in Chihuahua and never once felt unsafe. I was with my partner 90% of the time but on the few occasions that I wandered around on my own, I never felt uncomfortable. Buy the right travel insurance. Not all insurance companies provide coverage in this region. To read more about finding the right insurance company click here. Don’t purchase anything illegal, especially drugs. Don’t take cash out of ATMs after dark. Don’t carry a lot of cash with you in bigger cities (Chihuahua, Los Mochis). Don’t make yourself a target by wearing flashy, expensive jewellery. If you’re inebriated take a taxi or Uber back to your hotel, don’t walk. If you have a purse or personal bag with you, keep it on your front side when in crowded areas. Many lower-end hotels don’t have safes so have some way to lock your luggage to safe keep your valuables or leave them at the reception desk. I like to use the Loctote bag to keep computers or passports in a room with no safe. Lock your luggage if it’s going to be out of sight when you’re on a bus. Don’t travel alone to non-tourist destinations around the Copper Canyon. Stick to the towns and sites that the hotels and guides recommend. 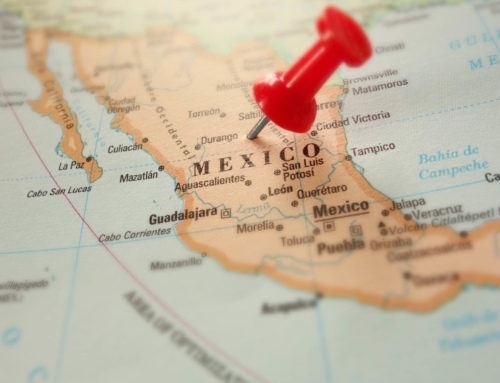 Drug-related violence is often on the top of peoples’ minds when they think of northern Mexico but what about other safety concerns, such as driving, the elements or bug bites? Driving in Mexico can certainly be a different experience and although I’ve done it I can’t say I was super comfortable with it. In fact, I lived in Playa del Carmen for 6 months and in that time I saw no less than 7 accidents outside my apartment. In Chihuahua I saw at least two. If renting a vehicle is part of the plan I’d advise caution in the bigger cities and especially around stop signs as people sometimes ignore them. Once on a highway or in small towns, it should be much easier. But beware, speed bumps are overused, often very poorly marked and seem to pop up out of nowhere. Driving around in the Sierra Madre Mountain range can also be risky due to sharp turns, steep cliffs and rockslides. Sometimes a bus with an experienced driver is just a better option. Any outdoor activity anywhere in the world entails some risk, so take the usual precautions. Many viewpoints in the Copper Canyon will have areas without fences and just a sheer drop-off. It might make for a fantastic photo but people have fallen to their death doing this so be careful. The train itself, El Chepe, can also pose a risk if one isn’t careful. Part of what makes the train so amazing is the fact that passengers can hang out of the windows between the cars to take in the views or snap photos. There are signs posted to discourage this but everyone does it and no one says anything. However, be careful and watch for branches that can smack you in the face (it’s happened to me). Hold tight to your camera or phone and personal belongings. And one more thing, don’t fall out. Animals aren’t much of a safety risk in the Copper Canyon but some are more dangerous than others. Rattlesnakes, Mexican Beaded Lizards (venomous lizard) and scorpions live in the area but will almost always avoid humans when possible. I haven’t heard of any tourists being bitten but if you plan to trek the risk will be a little higher. It’s best to have a guide who knows the area and the wildlife. Altitude sickness is generally only a risk above 2500 m (8000 ft). The highest town along the Chepe route in the Copper Canyon is around 2350 m (7700 ft) so the risk is very low. Taking acetaminophen or paracetamol (Tylenol) can be effective for mild altitude sickness if it occurs. At higher altitudes, the suns rays are stronger so sunburns are a greater risk. Always have sunblock on hand for outdoor activities. If planning to swim in any natural bodies of water use biodegradable sunscreen. Before travelling it’s always a good idea to visit a travel doctor to discuss vaccines and medication. Hepatitis A and B are often recommended and bringing something along for Travellers’ Diarrhea never hurts. The tap water in Mexico is not potable so you’ll need to buy bottled water throughout your travels. If you are experiencing bowel issues I’d recommend trying some Yakult. It’s a probiotic drink found in the dairy section of most Mexican grocery stores. It won’t get rid of Travellers’ Diarrhea but it can help speed up the process or minimize the cramps from antibiotics. Insect transmitted diseases such as Zika, Dengue and Chikungunya are present in Mexico but aren’t considered much of a risk in the Copper Canyon region. Wearing insect repellent in warmer climates is the best way to avoid bites and potential infections. According to the Centre for Disease Control and Prevention, Malaria is present in Chihuahua and Sinaloa so ask your doctor if medication is recommended. In the winter most places are too cold for mosquitos but El Fuerte stays fairly warm year-round. I’ve travelled through the Copper Canyon a few times and spent more than enough time in the city of Chihuahua and not once have I ever felt unsafe. I’ve never picked up any diseases (that I know of) and haven’t taken anti-malarial medication. Travellers’ Diarrhea is the one exception but as far as I’m concerned that’s just part of travel. Keep up to date on new travel advisories. Take the steps mentioned above to avoid undesirable situations. I don’t think safety concerns should stop anyone from travelling to this gorgeous and unique destination. What are your safety concerns? Have you had any safety issues in Mexico’s Copper Canyon? I want to keep this site as up to date and as comprehensive as possible so I’d love to hear from you. Leave a comment below or send a message via the Contact page. Beautiful website–do you have an ecotourism company you can recommend? Preferably local? 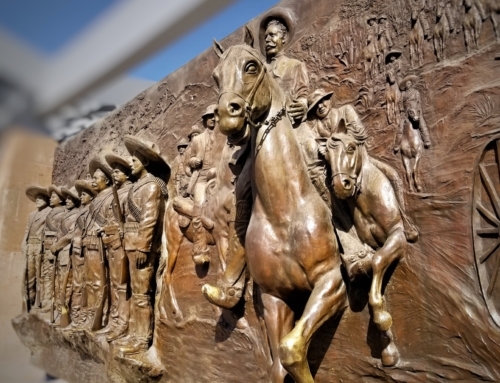 We can spend up to 10 days in the canyon–like riding horses, and speak Spanish. Thank you for the comment! I’m sorry I’m replying so late. Ecotourism is certainly something I’m interested in supporting and would like to write more on the topic but I have not actually used any agencies in the Copper Canyon. If you have already visited Copper Canyon and found an eco-friendly tour then I’d love to hear about it!